Dress shown here with Rainbow crystal sandals and Nectar Polarized Cyrpress Sunglasses, two of my favorite summer classics. The great thing about living in Richmond, Va., is its proximity to fun day-trip spots. Hop in the car, head about two hours in any direction, and you’ve got a new, fun place to explore. 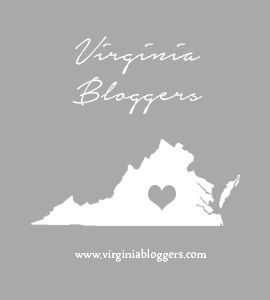 Virginia Beach, Charlottesville, Northern Virginia/D.C. all make fantastic day trips, but sometimes during a carefree long weekend, you might just decide to extend your trip for the night. And you might not have really thought about throwing a change of clothes into your bag. This happened to me recently. The boyfriend and I headed down to Virginia Beach for the day, but decided to grab a hotel in Williamsburg so I could hit the outlets on the way home the next day (yes, I have somehow managed to find a guy who not only endures my shopping insanity, but is willing to stay an extra night for it! Props to Tom!). Somehow the extra dress I meant to throw in my bag didn’t make it in and the one I had on was caked in sand and sea water, so off to Target I went. After trying on about half the store, I found this Mossimo Women’s Embroidered Woven Swing Dress ($22.99 when I bought it; now on sale for $16.09!). The fabric has a nice, flowy cut that fits fine if you have a straight figure or, like me, have a curvier figure that needs a less boxy cut. Although it looks short on the model, it’s actually a nice length, hitting just above the knee—I even wore it to my super-strict-dress-code office with a cardigan and got compliments. The embroidery is nicely done—particularly for a Target find—and the tassel ties incorporate one of summer’s key styles. The piece can double as a cover up or date-night dress, making it a perfect deal for the price! I had thrown a tinted moisturizer and waterproof mascara into my beach bag, but I also decided to scope out some eye makeup to finish my look. I ended up grabbing the NYX Eye Shadow Smokey palate ($6.09), which turned out to provide a nice selection of basic shades for creating a classic smoky eye, or adding a pop of blue or purple. I’m planning to make this a mainstay in my travel bag. I also grabbed the NYX Slide On liner ($7.99) (sold in Target stores or available online here). Anytime I see the word “waterproof,” I give the liner a try. I haven’t gone swimming in it yet, but so far it glides on easy and stays all day—definitely a good buy for the money. ). If you have lighter hair and are nervous about filling your brows and having them look too heavy, I’d suggest this shade. The lighter tone definitely provides some definition, but isn’t heavy enough to overwhelm. I’ll probably keep this for an everyday brow fill, but will choose a slightly deeper, more dramatic shade for special occasions. Either way, the product provides a superfine point that you can use to fill your brows with tiny, short strokes, and then you can use the brush on the other end to blend. It is available in darker shades if you really want defined brows, which I think is a key to making your eyes stand out in photos. Here are a few pictures of my rocking this eye makeup on a recent night out.